At last, it is happening. Yesterday’s announcement of the restructuring of the public bus industry is a policy decision that should be welcomed. The government will be taking over all bus operating assets and infrastructure and will contract out the provision of bus services. This model is based on those currently in use in London and Australia. This acquisition of assets and infrastructure will be done over a period of a few years. 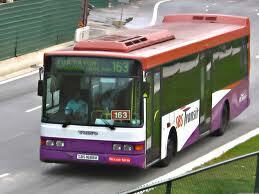 LTA will continue to act as the route master and package routes into 12 distinct packages. Each package will allow for the use of between 300 and 500 buses. In the first phase of the restructuring the three packages will be offered for tender between this year and 2015. These packages will compromise about 20 per cent of the routes. The tender will be open to incumbents and new local and foreign operators. The winner will be awarded a five-year contract with a two-year performance based extension. The remaining nine packages will be awarded to the incumbents “on negotiated contracts for durations of about five years”. This, I believe, is to ensure the financial viability and sustainability of the incumbents in light of increased competition. I do hope that after the initial ‘period of protection’ these nine packages are also opened up to competition. Under this new model, the government will retain fare revenues and bus operators will be paid an operator’s fee. This, to an extent, shields bus operators from fare fluctuations and should in theory eradicate their request for fare revisions. The government would also be in a better position to manage the fare structure and ensure that it is affordable for all users. The two most interesting features of this model are the opening up of the three packages to new local and foreign operators and the government’s decision to take over all bus operating assets and infrastructure. By opening up the market to new local and foreign operators it should inject competition and innovation to the sector. With a limited supply of bus drivers, increased competition in theory should also translate into higher wages and better working conditions. Under the new centralised ownership of assets by the government, would the government be responsible for the maintenance of the bus fleet? The devil, as always, in the details. We await more information from LTA.